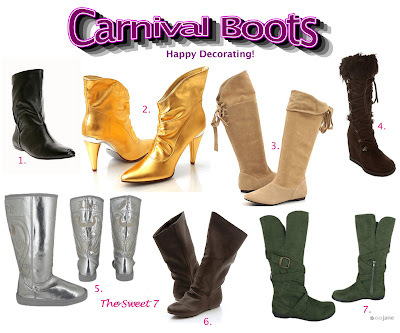 Here is a do-it yourself tutorial, "Carnival Boots." Boots ... perfect for Carnival Divas! Lol....I don't fink Lucian do boots, but I'll like to try someday. But for my 1st time (another century) I'll definately stick to sneakers. And don't you hate it when people spray gold on them?? ?